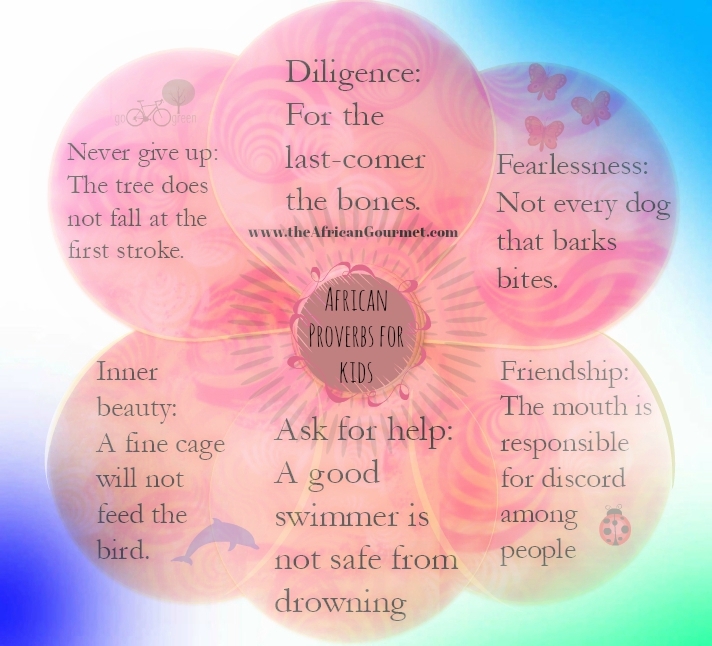 Wisdom of African Proverbs get some African wisdom in your life. 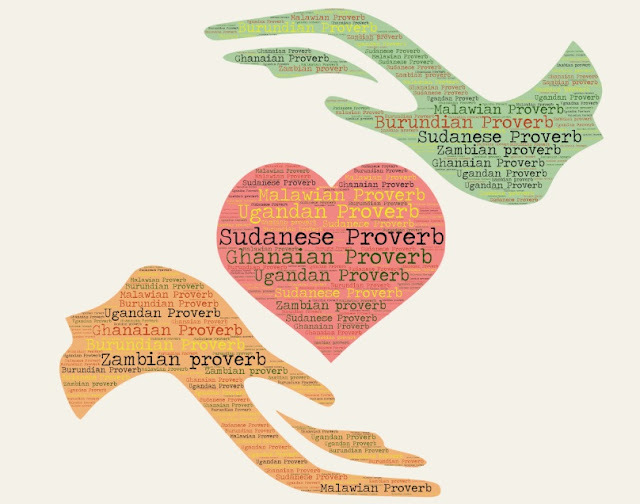 Here are African proverbs that will teach you about love, life and family. 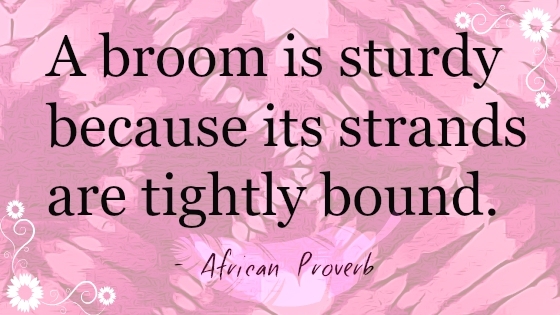 Read our great selection of African proverbs illustrated with photos. 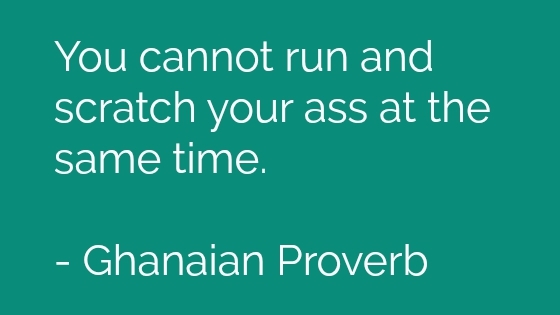 The unique language of a Zulu South African Proverb are embellished with figurative expressions, some of which are quickly understood, but others need explanation. 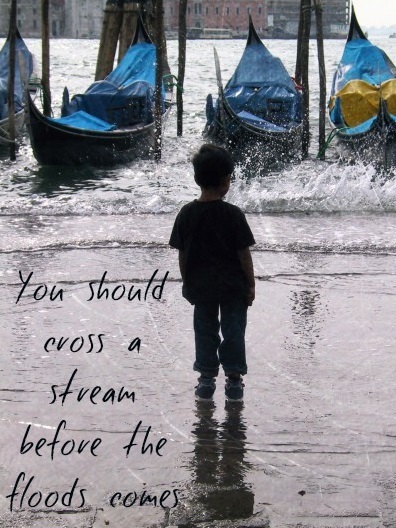 You have cast away your own for that which you are not sure of. 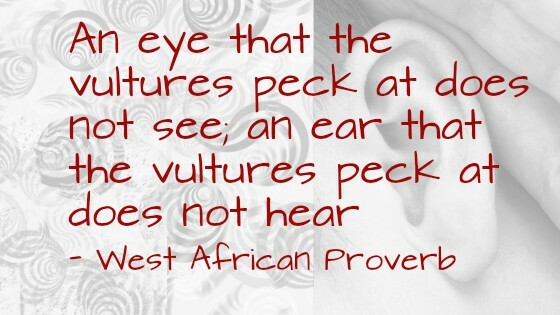 This proverb is equivalent to the English one; A bird in the hand is worth two in the bush. He is a buck of an endless forest. A saying applied to a shiftless person, one who never continues long in any occupation. You are lighting a fire in the wind. Said to anyone who favors strangers in preference to relatives, or friends. There is no beast that does not roar in its den. 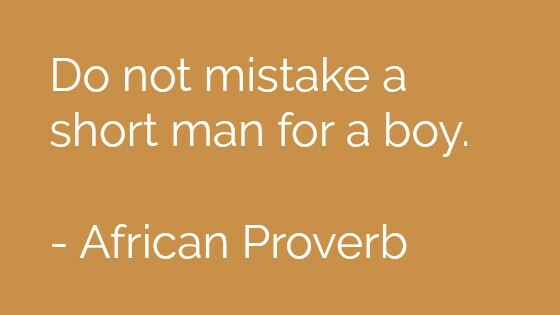 This proverb means that a man recognizes no superior in his own establishment. A dog of the wind. A saying applied to anyone who has no settled plan of living. The shield turned the wrong way. This saying is applied to anyone who goes over from one party to another. It is a common expression for one who turns evidence against accomplices in crime. It is a cob stripped of maize in an ashpit. Said of a worthless character. I, the grass, will stick fast to you. The isinama is a kind of grass that sticks to one's clothing when it is touched, and can hardly be brushed off afterwards. 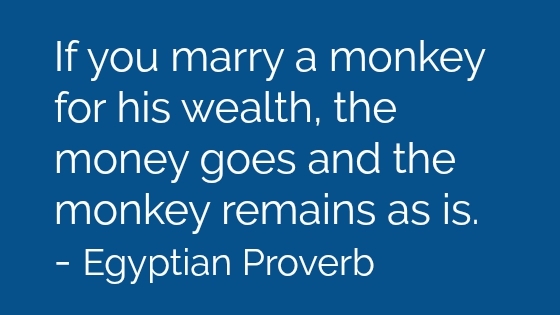 This proverb is used as a warning to anyone to avoid a bad habit or an unworthy companion that cannot easily be got rid of. The sun never sets without fresh news. There is always hope for the new day to come. They are people of experience who do not sleep in a strange place. 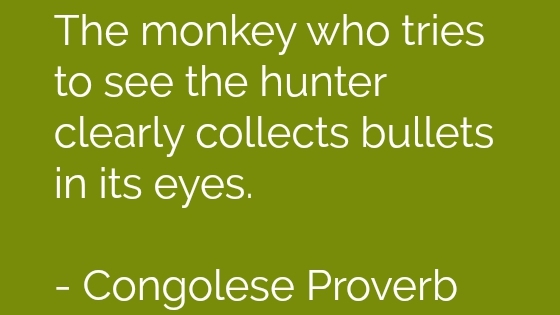 This proverb is used in praise of one who is smart in going a message, or who performs any duty at a distance quickly. You will prefer roasted meat. This saying is applied to anyone who is boasting immoderately, as a warning that if he does not take care he will get into trouble when he will be glad to take whatever comes to hand. He will prefer roast meat because it is easily cooked, and he will have neither time nor means to boil it. 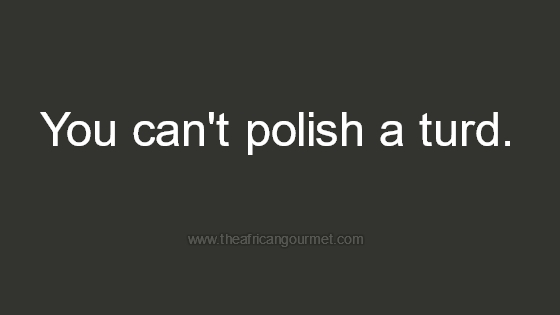 This saying is also used as a threat, as if one said, I will punish you thoroughly. Throats are all alike in swallowing. This proverb is used when one asks another for anything, and implies, If you do not give to me now, I will not give to you when I have anything that you would like a share of. The people who rescue and kill. 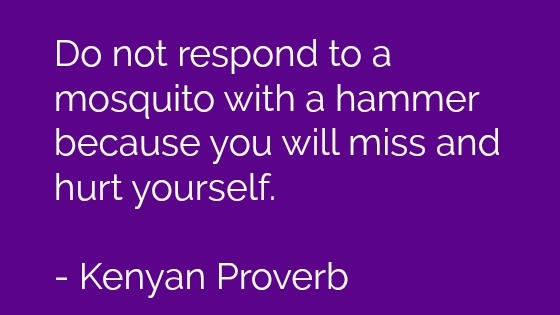 This saying is applied to Europeans. It first arose from the heavy demands made by Lord Charles Somerset upon the Ngqika people who were a royal Xhosa who lived west of the Great Kei River in return for English protection, it is sometimes put in this form, the people who protect with one hand and kill with the other. Approach the throne reverently, use power sensitively and wisely. When great leaders use power wisely, they warrant allegiance and dedication long after they have passed away from this earth. Living in Kenya, Ethiopia and Somalia, the Borana tribe have a long history of conflict, cattle raiding and fights over water and grazing among its various pastoral communities. 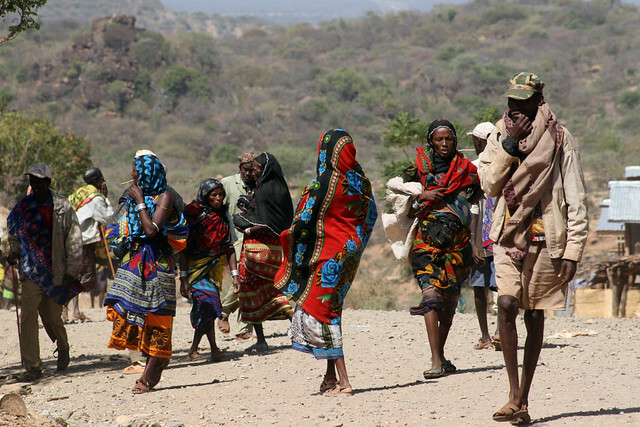 Fighting between the Borana and Gharri tribes historically erupts inside Ethiopia and Somalia along the Kenyan border, over water and grazing land. 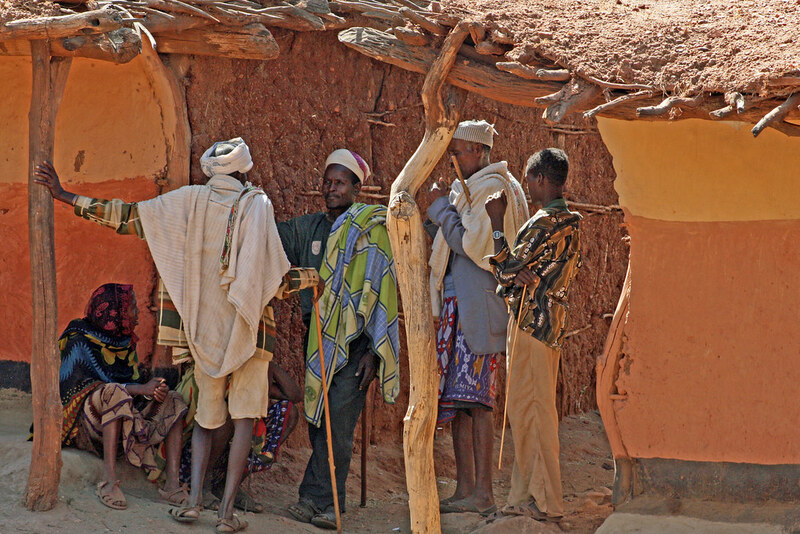 Both tribes are traditional pastoralists.The hard red earth shows through the thin grass of the sun-baked landscape, a wide expanse of thorny scrub, flat-topped thorn-trees and tall red anthills. 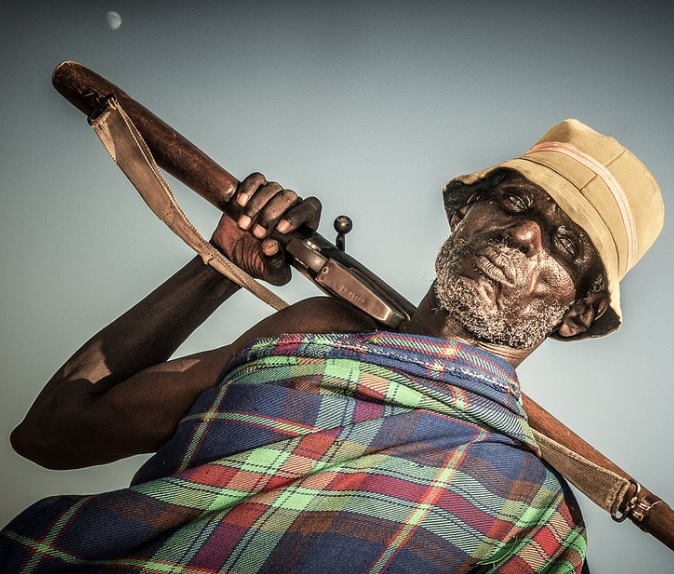 Like almost all pastoralists in Africa, Borana men habitually go armed to defend their flocks but many are displaced. Bir baani, dubbit affa ; d’uggadubbe tani namat wald’aba. If facts are ignored, justice cannot be rendered yet, if one refuses to ignore the facts enemy is created. The plan kills, the weapon only does the deed. Nafi abba took abbatokot qoricha. A person’s life is precious to him but nothing to someone else. Sankofa is visually expressed as a bird that flies forward while looking backward with an egg symbolizing the future in or near its mouth. Sankofa is a word in the Twi (pronounced Tree) language of the Akan people of West Africa that translates to GO BACK AND GET IT san - to return ko - to go fa - to fetch to seek and take. Used as a symbol of knowledge the world over, the concept of sankofa is derived from the Akan people of West Africa. 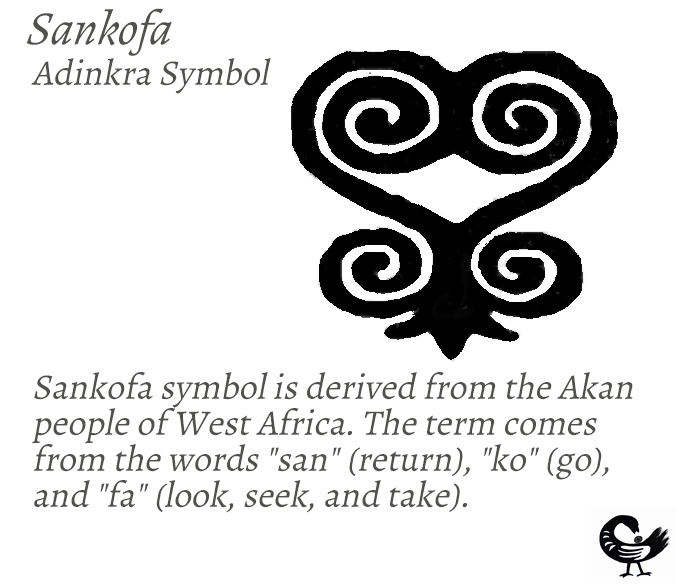 The term sankofa comes from the words "san" (return), "ko" (go), and "fa" (look, seek, and take). The past illuminates the present, Sankofa Asante Adinkra symbol means know your history is to know yourself; the search for knowledge is a lifelong process. The Akan believe that the past illuminates the present and that the search for knowledge is a lifelong process. The Sankofa symbol illustrates the quest for knowledge and the importance of learning from the past. Sankofa teaches us that we must go back to our roots in order to move forward. That is, we should reach back and gather the best of what our past has to teach us, so that we can achieve our full potential as we move forward. 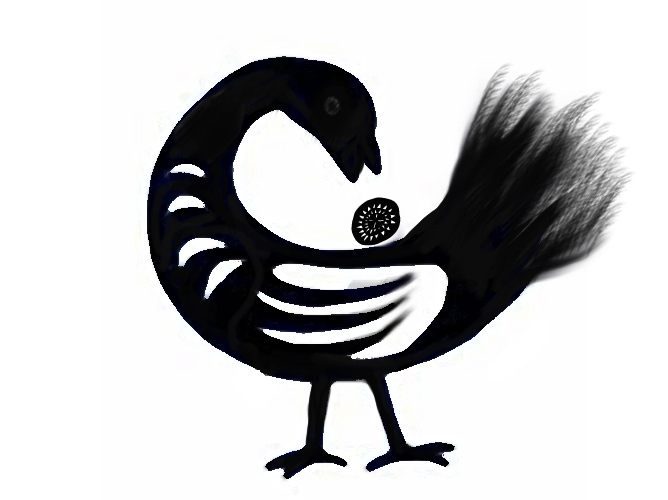 Visually and symbolically Sankofa is expressed as a bird that flies forward while looking backward with an egg symbolizing the future in or near its mouth. Sankofa means return and get it, symbolizing the importance of learning from the past. Sankofa also stands for you can always correct your mistakes or with wisdom use past experiences to build a promising future. Know your history is to know yourself. Sankofa has a second popular symbol which was the original symbol derived from the Akan people of West Africa. 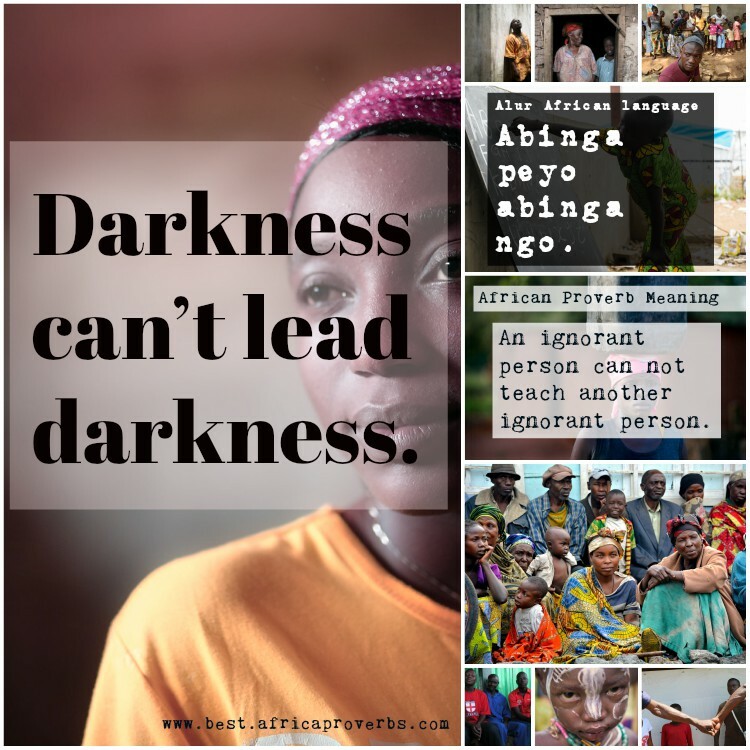 African inspirational and motivational sayings about love and life for daily motivation. 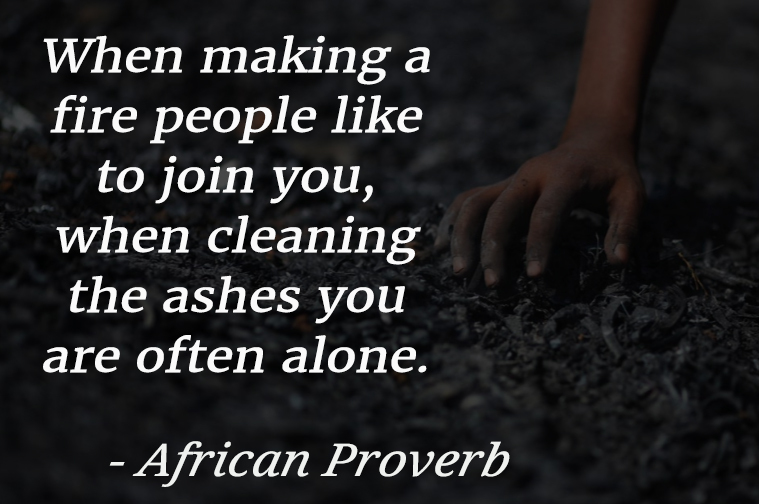 African proverbs are full of so much wisdom they will inspire you to be successful in life family and love. Wisdom is truly wealth. It is not always the one who speaks the loudest who wins the dispute. A diamond does not lose its value due to lack of admiration. A broom is sturdy because its strands are tightly bound. The path leads towards love, not thorns. If we stand tall, it is because we stand on the backs of those who came before us. You will then learn your measure, when you spend a night with yourself. Look at a person’s deeds, not whether they are tall or short. Who dies inside has lost. Although there are many roads, there is only one that is the straightest. A person’s values are not crushed by passing storms. Who today is humiliated easily, tomorrow will be lost. Until one dies, others will not be satisfied. Never give up - The tree does not fall at the first stroke. Diligence - For the last-comer the bones. Fearlessness - Not every dog that barks bites. Friendship - The mouth is responsible for discord among people. Ask for help - A good swimmer is not safe from drowning. Inner beauty - A fine cage will not feed the bird. When you listen to good advice, take it in and pass it on. 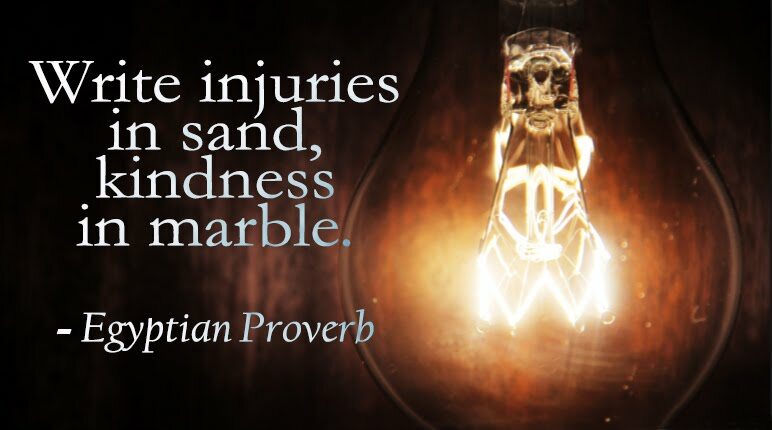 Advice can come in the form of quotes and sayings or actions. The depth and range of good advice intelligence is not limited to those who follow a straight and narrow path, often times the best advice comes from those who have been there, done that and learned the hard way. 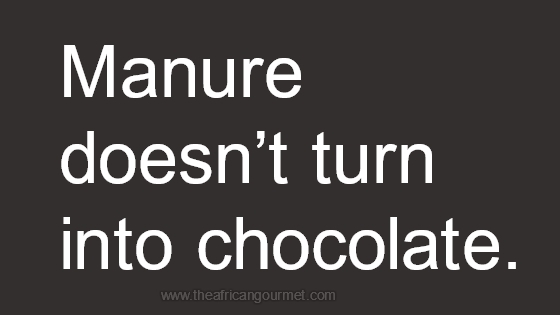 Manure doesn’t turn into chocolate. 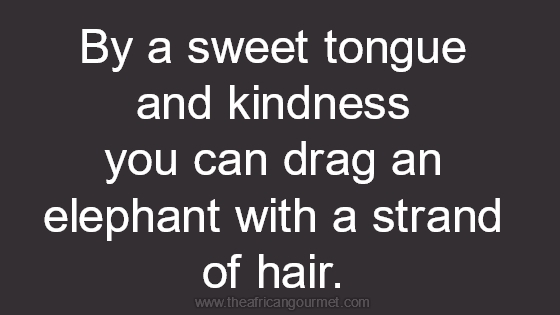 By a sweet tongue and kindness you can drag an elephant with a strand of hair. 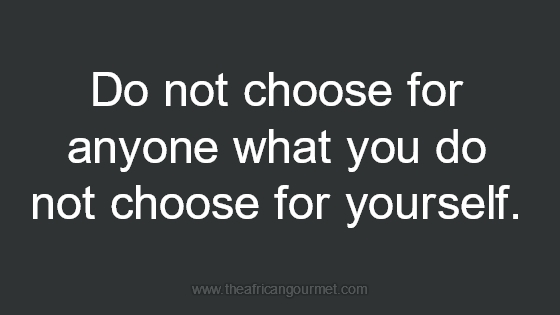 Do not choose for anyone what you do not choose for yourself. Everyone thinks their own spit tastes good. 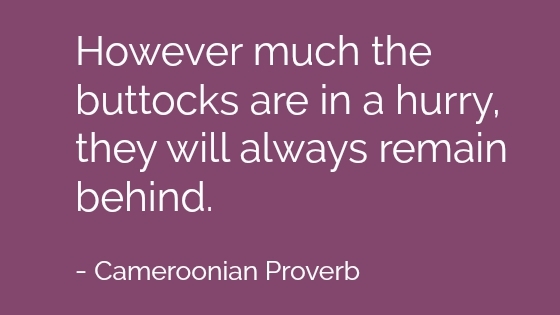 African proverbs are funny at times with pearls of wisdom wrapped in humor to give us ancestral insight from Africa. All people smile in the same language. 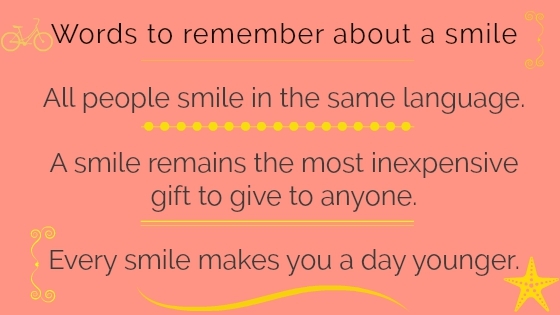 A smile remains the most inexpensive gift to give to anyone. Every smile makes you a day younger. What is learned in the cradle lasts until the grave. Where there is love there is no darkness. Education is what you know, not what's in the book. For the benefit of the flowers, we water the thorns, too. If there were no wrongdoing, there would be no forgiveness.